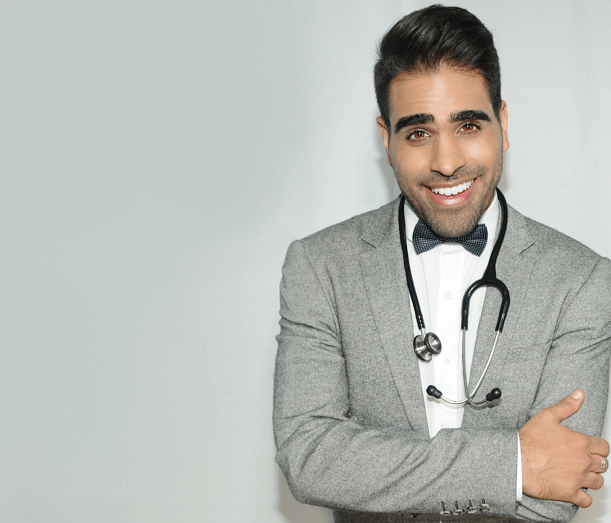 AN AWARD scheme recognising the courage of children diagnosed with cancer has launched in the South West and is supported by Strictly Come Dancing star Dr Ranj. There are around 120 new cases of cancer in children diagnosed in the South West every year. Nominations for this year’s awards are now open and people in the South West are being called on to nominate young cancer patients and survivors from across the region in the run up to Christmas. Alison Birkett, spokesperson for Cancer Research UK Kids & Teens in the South West, said: “The Cancer Research UK Kids & Teens Star Awards, in partnership with TK Maxx, recognise young cancer patients who have survived cancer or are currently being treated for the disease. “Our mission is to fund research to find new, better and kinder treatments for young cancer patients in the South West, and across the UK. We want to bring forward the day when every child and young person survives cancer and does so with a good quality of life. Thanks to the support of people in the South West and across the UK, Cancer Research UK’s research has helped transform survival for children’s cancers, which overall has more than doubled in the last 40 years in the UK. In the early 1970s, 4 in 10 under 15s with cancer survived for at least five years. Today, it’s more than 8 in 10. The Royal Hospital for Sick Children in Bristol is one of the many centres across the UK taking part in groundbreaking clinical trials coordinated by Cancer Research UK’s Children's Cancer Trials Team. These trials make innovative new treatments available to children with cancer in Bristol. In one of the trials, doctors are finding out which combination of drugs is most effective for both children and adults with Ewing’s sarcoma, a type of bone cancer, before having surgery.